Aldon Terrace is a short terrace of four houses built in the 1890s on Hendford Hill, next to the Railway Inn. The terrace survives to this day. In the early twentieth century a small extension was added on to the side of the fist house and this became the Hendford Supply Stores. It was also a sub-Post Office. The shop operated until at least 1987 as shown in the last photograph below. 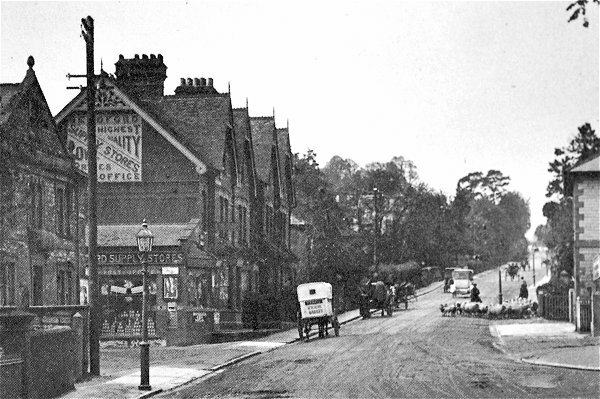 This photograph dates to about 1910 and looks up Hendford Hill with the Railway Hotel at left and Aldon Terrace beyond it. The Hendford Supply Stores was in a small extension added to the first property in the terrace. 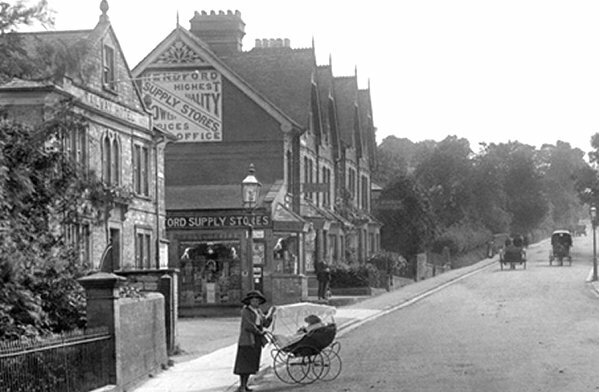 The same view seen around 1920 with a horse-drawn baker's delivery van outside the Hendford Supply Stores. The photograph was clearly taken on a market day since, at right, a small flock of sheep is being taken to market. 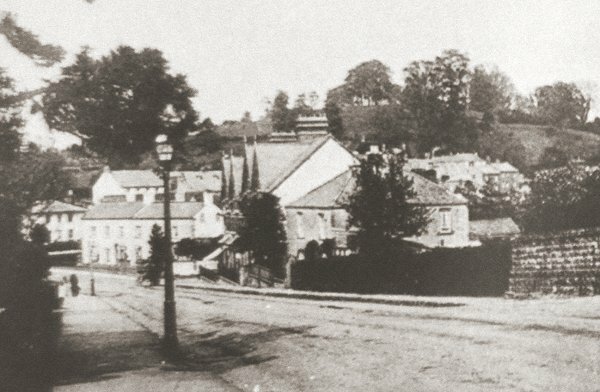 This photograph, with Aldon Terrace at centre, was taken around 1905. Note the large, square house to the immediate right of the terrace which is absent in all later photographs. Note also Penn Hill in the background, with barely a building upon it. 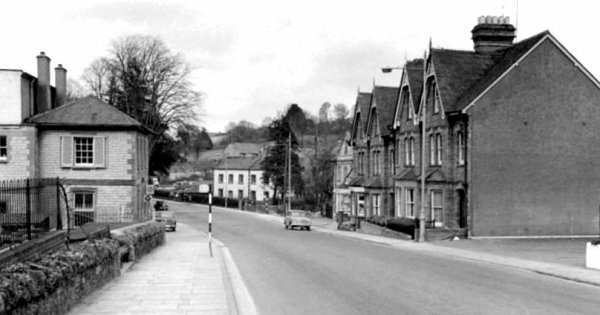 A photograph of the 1960s looking down Hendford Hill with Aldon Terrace on the right and the Railway Hotel just seen tucked in behind. All the other buildings in this photograph have since been demolished. 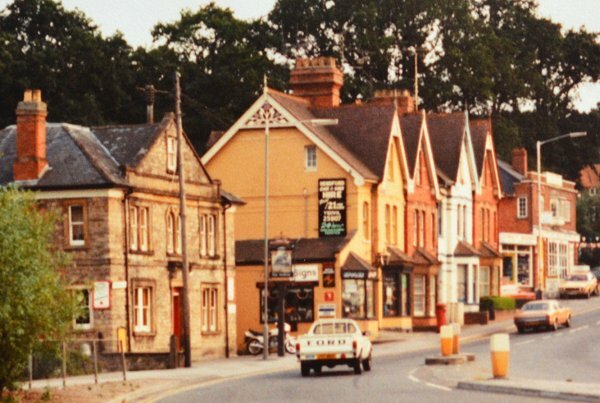 Unchanged in almost a hundred years - this photograph was taken in 1987.